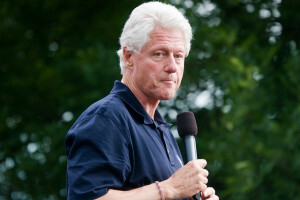 Bill Clinton the former President of the United States says that his wife Hillary, who is a prohibitive favorite for the nomination for president in the Democratic Party in 2016, needs more time to decide if she is willing to run, but also needs to see what she would bring to the presidential race if she decided to run. During an interview, Clinton said that although his wife Hillary has not asked for any advice on her decision for 2016, he thinks the former senator and secretary of state does need more time to think everything through. Clinton said he and his wife had reached a point in their lives where they think you should not run for public office if you do not have a good idea of what you will be able to do and a unique contribution you can give. The former president added that now that Hillary was finished with her book, she wants more time to think everything through. Clinton was interviewed while he was in Vietnam as part of his foundation’s global health work for Southeast Asia. The latest memoir by Hillary, Hard Choices, was published early in the summer to great fanfare. Sales to date have not hit the expectations of the publisher, but the book tour put Hillary on the front of the political conversation list and increased the speculation of here likely running for the White House in just two years. Hillary has more comfortable acknowledging she is considering running for the presidency. Months ago the former New York senator would not entertain any questions regarding a run, while recently she has given answers without a pretence and has speculated about what her campaign might look like. Mr. Clinton said he would be fine with whatever his wife decided and eventually does in 2016. The former President said however, that Hillary would make a great commander in chief. He called his wife the ablest public servant he has ever worked with. He said she was smart, but is also very uncannily about able to move on from A then B to C.